Nomination. Up to thirty candidates nominate themselves for the position. You need 300 reputation to nominate yourself. Primary. The top ten candidates are chosen, if necessary, through voting. You need 150 reputation to vote candidates up or down. Election. A final round of voting is used to determine the winner through Meek STV. You need 150 reputation to cast your preferences. This election ended Jun 14 '16 at 20:00. Well, well, well... Look at the time... 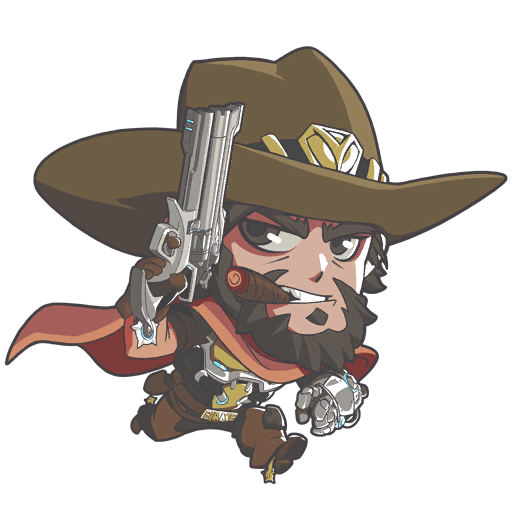 It's hiiiigh noon. It's election time again. To that end, I'd like to throw my totally-not-oversized-cowboy hat in the ring once again. Many of you may know me from the last time I declared myself for moderatorship, but for those of you who don't, hi. I'm Fluttershy. I've been a member of Arqade for around four and a half years, and in that time, I've been a pretty active user. I'm on here pretty much every day, in some capacity or other, either in the review queues, or in The Bridge. While I'll admit I've not been the most active participant on Meta in recent months, I've always maintained a very passive presence, reading up on policy changes so that I may better implement them in my daily site usage, or just voting as I see new topics come up. That said, I've never been afraid to voice my thoughts on topics with which I disagree, usually in The Bridge. So, that's me in a very small, character-limited nutshell. For those of you who took the time to read this, thank you for your time, and thank you for your consideration! I'm John. I've been around for a long time, participating on Stack Exchange since this site was in private beta, though I didn't actually find Arqade until about a year before it became Arqade. Wait, you've been here for 5+ years, but you only have 11k rep? Unfortunately, I can't play as often or as many games as most people here. I ask and answer questions when I can, but times like now when I don't play Overwatch, Fallout 4 or XCOM 2 leaves me wandering the site rather aimlessly, which is why I want to become a moderator in the first place: to help keep things clean despite not being able to ask or answer much these days. That's great and all, but mods are supposed to be making policy on Meta, where are all your enacted policies? While I have some amount of meta participation, it's not as much as most current, past or potential moderators. When it comes to site policy, I prefer to deliberate a while. With the "fastest gun in the west" nature of Stack Exchange answering and the greater impact of meta posts, I often find when I reach an opinion that others have already posted it. Good Attitude: I’m a friendly and easy going guy, and I keep a cool head in most situations. Important qualities in a mod, especially when dealing with aggravated users. Knowledgeable about Site Rules: I have a very strong understanding of the rules of the site, including why those rules are there in the first place. Open Minded: I aim to keep an open mind in any discussion, setting whatever biases I may have aside. I feel this is the best way to reach the right decision for any problem, and I’ve had my mind changed on more than one occasion. If you want proof of any of these things you just need to look through my site history, but I’d argue the number of memes about me is proof I’m easy going, answers like this demonstrate my strong understanding of site rules, and comments like this show I’m open minded. If elected the main activity change you'd see is that I'd devote more time everyday to moderating the site. Hello, my name is Dragonrage. I am a software developer from California, have released 2 mobile games, am an avid gamer, and have been a moderator for about 3 years for a fairly large halo clan. On the Arqade, while I haven't been here as long as some, I have been extremely active both on the site and on The Bridge. I have been here almost every day since I created an account, have a very high helpful flagging percentage, am quickly approaching the silver badges in the review queues i haven't yet received it on, and am in the top .07% this year for reputation. I have a bronze badge in clash-of-clans and will soon have one in overwatch. I am also active in LoL, Skyrim, and Clash Royale. While I have not been very active in the past in regards to posting on meta topics, I have avidly followed them in order to familiarize myself with the workings of the site, and feel comfortable with the meta and have since begun participating more in meta discussions. Based on this, along with my experience as a moderator on another site I feel like I am capable of taking on the moderator position and helping to continue to keep the quality of this site exceptional. My name is Ryan, but most of you probably know me as Robotnik. I've been an active member on Arqade for almost 4 years. I'm an Australian developer and avid gamer with a Let's Play channel and prior experience moderating a Facebook group. I have bronze tag badges in 4 game tags, never had a post closed for anything other than 'duplicate', and never been in a position to earn the Peer Pressure badge, (all my Q&As being >= 0 score). I'm active in the review queues and a very prolific editor, including over 200 edits to Tag Wikis and Excerpts. I regularly browse older questions and answers to see if they need updating/improving (or closing). I have raised many topics on meta, and have both swayed others and been swayed myself by points raised there. While some of my ideas ultimately did not have community support, they were all well received and civilly discussed, and I respect and regularly uphold decisions that I may not personally agree with. Hello, my name is Evan, but most of you know me as Unionhawk or Uni. I have been a member of this community for 4 years, and an active member for 3. I am also a room owner in The Bridge, where I work to keep chat clean by pinning important messages, clearing stars as appropriate, moving spam messages to Android Hell, and even, in extreme circumstances, giving out kick-bans. On the site, I am a silver badge in minecraft, and am still partially active in the tag, particularly in minecraft-commands, where I am 5 answers and 42 score away from a bronze badge. I also have contributions in payday-2, overwatch, and elite-dangerous. On Meta, I have a bronze badge in discussion, providing opinions in many, many different matters, including what suggested edits are appropriate to approve, developer-only knowledge, and unreleased content. I also often participate in policy-related discussions in The Bridge, for discussions that are not big enough to warrant a meta. I feel that I have what it takes to become a moderator of this site, and I look forward to answering questions posed by the community in the coming weeks.